If you are looking for HIV tests near you, but are unsure of where to go, FastMed Urgent Care has your back. Did you know out of more than 1.1 million people living with aids in the United States, 1 in 6 are unaware of their infection? Getting tested for HIV is the first step to protecting yourself and your partners, but where can you go to get tested? I’m Looking for HIV Tests Near Me. What Should I know First? HIV stands for Human Immunodeficiency Virus and it is a disease that attacks your T-cells. By attacking your T-cells, HIV leaves your body unable to fight off infectious diseases and can progress to AIDS (Acquired Immuno Deficiency Syndrome). Note: These fluids must be directly injected into your bloodstream for transmission to occur. During this stage, a person will have no symptoms, even though the HIV virus is active and can be transmitted to other people. Eventually, if HIV is not treated it may progress to AIDS. If you suspect you may be infected, get tested at your local FastMed. Where can I go for an HIV test near me? FastMed is open every day of the year and stays open late during the week. We offer HIV tests and other sexual health care. Our facilities are equipped with onsite labs, digital X-rays and EKG equipment. 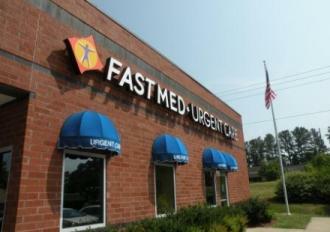 FastMed Urgent Care is a great choice for anyone looking for HIV tests and other services nearby. At FastMed, we are dedicated to getting you in, out, and on your way to feeling better in an hour. With locations across North Carolina and Arizona﻿, finding a FastMed near you is easy!